Many diverse and helpful devices are presented this year at Ocean Business including Iridium satcom specialist Rock Seven. Rock Seven will reveal its affordable high-tech vessel and asset tracking, Machine-to-Machine (M2M) and communication technology portfolio. Rock Seven’s Southampton-based team will be on-hand throughout Ocean Business (stand V43) to show visitors how the application-agnostic RockFLEET and RockBLOCK systems can be easily integrated with any project or product to provide reliable, cost-effective remote monitoring, control and communication functionality. RockFLEET and RockBLOCK greatly used by ocean science and commercial maritime users for a diverse range of applications and projects all over the world. RockFLEET is a compact, weatherproof fixed installation system for maritime tracking and data applications over the Iridium Short Burst Data (SBD) service and GSM. It provides accurate GPS location reporting for vessel and asset tracking in addition to short text messaging via email and SMS, plus free Facebook and Twitter updates for vessel crews. The system also features an M2M module, allowing it to form the communication link for any remote monitoring platforms. 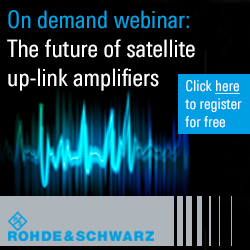 The latest RockFLEET updates include the introduction of a new fixed monthly GSM tariff for dual-mode users, enabling greater airtime cost predictability should the system’s least-cost routing function switch from Iridium SBD to GSM. The State of Maine’s Department of Marine Resources has tested RockFLEET as a key component in the digitization of its fisheries management strategy, which aims to secure sustainability of stock levels for the future. Rock Seven’s system delivered tracking data from in-shore scallop fishing vessels, which was then combined with stock survey information to create dynamic heatmaps of the live fishing activity. These were used to inform decision making on ‘in-season closures’, where fishing is temporarily restricted in affected areas, enabling stock to return to healthy levels. The RockFLEET system is also proving popular as a communication device for smart buoy manufacturers. One such manufacturer is Hydrosphere, who have integrated RockFLEET as part of its data and telemetry system for navigation buoys. Hydrosphere is using RockFLEET to send position and telemetry data from sensors on board and can tell i.e., whether the navigation lights are working or not, or if the batteries/solar-panels are charging properly. This data can reduce the number of visits by boat to service buoys, reducing maintenance costs significantly. Others in the environmental research community are appreciating this tiny satellite communications device. The system is currently being used by a team from the National Institute of Water and Atmospheric Research – New Zealand (NIWA) to measure the effects of storm waves on sea ice. RockBLOCK has been integrated on specially developed wave buoys deployed on to sea ice floes in the Arctic and Antarctic by NIWA. The system transmits GPS position and signal strength data from the buoys every hour, allowing the teams to plot the movement of the ice against wave data. 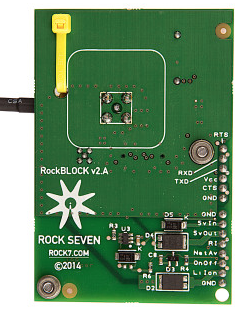 RockBLOCK is designed to work with any platform with a serial or USB port, including Arduino™, Raspberry PI™ and Intel Edison, as well as Windows, Mac and Linux computers, and is a simple and reliable way to integrate two-way communication into sensor and measurement based research projects. It can send messages of 340 bytes and receive messages of 270 bytes using Iridium SBD, which offers global, pole-to-pole coverage.